There are all sorts of benefits that you can claim from the government depending on your circumstances. The main reason that people don’t claim what they are entitled to is because they didn’t know it was available or felt they didn’t need it. Start by finding out exactly what is available to someone in your particular circumstances and then make the effort to fill in the appropriate forms and claim what is essentially ‘free’ money. It can be confusing when you look at all the different government websites that outline all the various entitlements and it is easy to decide it is too much hassle. However, if you contact your local government or approach the jobcentre then they will be able to talk you through what is available and help you fill in the forms to make a claim. There can be a certain stigma attached to claiming any type of benefit and this sometimes prevents people from taking what they are entitled to. If you are unemployed or on a low income then the benefits can make a great difference to your life. If you and your partner are both working full time and paying taxes then why not claim some of it back? Childcare costs are expensive and anything you can take to help towards it makes sense. When you have a child there are a number of different things that you can claim from the government. They will give you money for maternity allowance, a child’s trust fund and also a one off handout to help you prepare for the baby’s arrival. Also, for every child that you have you are entitled to a weekly child benefit to help you with the cost of raising them. On top of this you may also be eligible for child tax credits which can help towards the cost of childcare. The benefit that most people know about is income support, which you are entitled to when you are unable to work. However, there are many other benefits that you can claim as well. If you are actively looking for work then you can claim job seeker’s allowance while there are specific benefits for people going back into employment. You may also be eligible for low income support. If you are ill or disabled then there are benefits you can claim from the government to help with your living expenses. 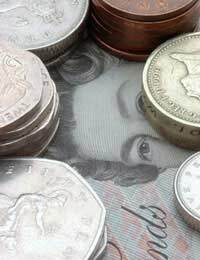 You may be eligible for incapacity benefit or a disability living allowance. There are also different schemes if you are the permanent carer for an elderly or disabled person. Benefits from the government are in place to make your life easier. Find out if you are eligible to receive any of them and if you are then make sure you make a claim. There is absolutely no reason not to take what you are entitled to and all it takes is a quick chat to someone to assess your situation and filling in a couple of forms. You are not doing anyone, especially yourself and your family, any favours by not claiming all you are entitled to from the government. get this money for colleg are pay my utility bills.